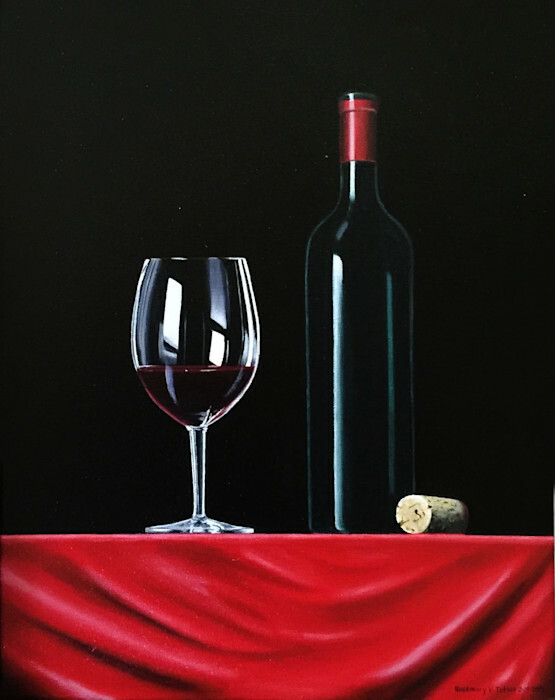 This original oil painting by Rosemary Vasquez Tuthill was created so you can display your private wine label on a quality oil painting Giclee. You supply an image of your label and she will paint your label on the wine bottle. Great Gift for an event like an Anniversary, Birthday, Special Occasion or a Company Logo. The price is $450 plus shipping.